There can’t be many one legged Karate instructors in the world. 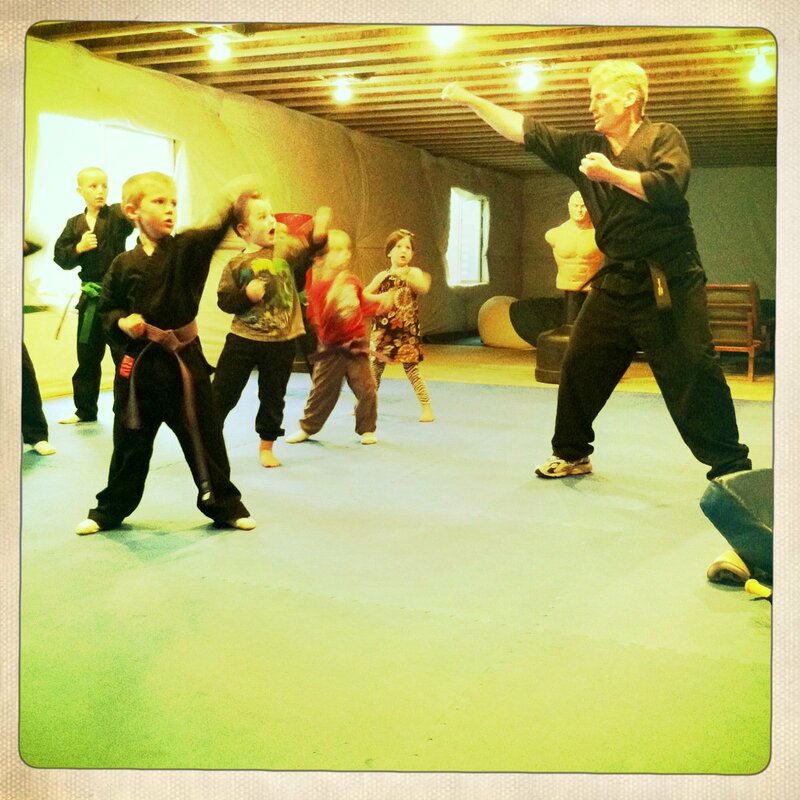 I teach Karate in my basement to the neighborhood children. Most of them are unaware that I wear a prosthetic leg unless during sparring practice it accidentally comes off and flies across the room. Once this happens, and it has, I’m forced to divulge my secret and just hope that there’s no permanent emotional trauma. My hope is that kids will learn thorough my example that they can overcome their handicaps and make the best of any situation. 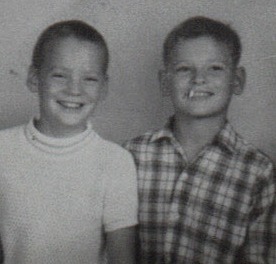 The reason I first became interested in studying Karate was because of my older brother Jim. Jim believed my parents had given birth to me so that he would have someone to beat up . I never punched back. I was way too scared and Jim was twice my size. My only defense was sarcasm. In 1966 when I was 8 years old a new T.V. show premiered. It was THE GREEN HORNET. The show introduced an unknown actor named Bruce Lee to America. 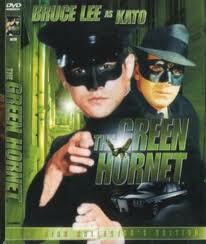 Bruce Lee played the Green Hornets side kick Kato. I remember thinking that if a little guy like Kato using martial arts could rid the world of bad guys I could defend myself against my big brother. I asked my dad if I could take Karate lessons and to my surprise he was all for it. We searched the yellow pages for a studio Ohio but unfortunately there weren’t too many Karate schools in 1966. By the time I had turned 12 we were living in Simi, California with my mom and my step father. My dad had passed away in an auto accident when I was 10. We had just moved all the way from Cleveland, Ohio to the west coast. As we were moving in, our new neighbors came over to say hello. 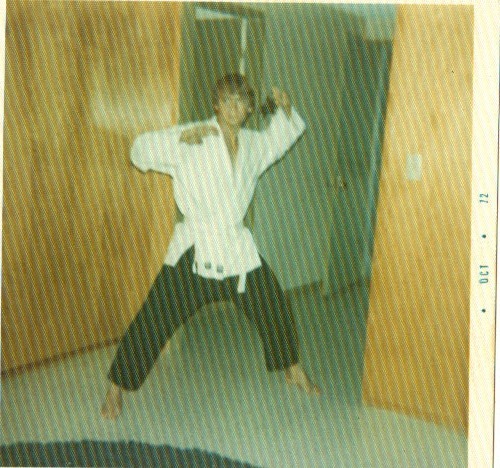 As it turned out one of the older daughters (she was only 18 but to a 12 year old she seemed so much older to me) was a brown belt in Hawaiian Kenpo Karate. She took me over to her house and showed me all of her trophies she had won in various tournaments. I was thrilled to have her show me all of her stuff. 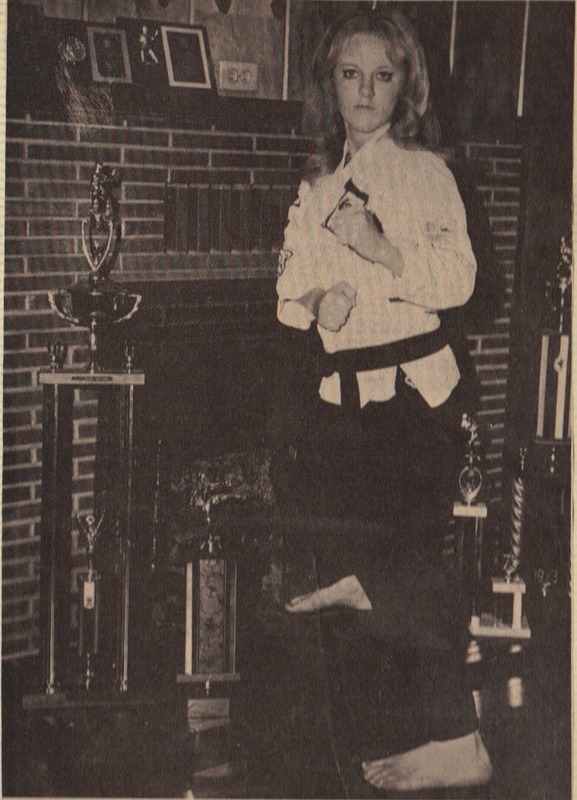 She had newspaper articles about her tournament wins, along with her closet full of gi’s. A gi is the baggy uniform that Karate students wear. She invited to come to her studio and start taking lessons with her teacher, Bill Ryusaki, who she referred to as Sensei. . I couldn’t have been more excited. Finally, I was going to learn martial arts just like Bruce Lee and stop living in fear of my older brother. My plans to take Karate were put on hold because when I approached my mom and step father to ask if I could train at her school I was told we didn’t have enough money for lessons. I wasn’t about to take no for an answer so I started thinking of ways I could earn some cash. My neighbor told me I would need $100. That would pay for 3 months of lesson and a gi. My mom gave me a dollar a day for school lunch. If I didn’t eat lunch and saved the money that would be $5 a week, $5 dollars a week would be $20 a month, $20 dollars a month for five months would be $100! And so almost exactly five months later to the day I started my first Karate lesson. My first try at making the best of 1 situation. Bro, you need to finish this story out and continue telling of your martial journey. Please let me know if I can help you. Find me via Facebook (Mason Emerson) and at least leave me a message to get my contact info; we’ll talk. It was awesome getting to know you better after three months of saying hi to you on the Daybreak lake trail at Dark O’Clock in the morning. See you there again. I thought the story was finished? 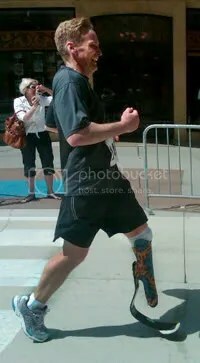 Anyway this blog is not about Karate it’s about running marathons! Do you still live in Daybreak? I am super inspired by you and live near day break. Do you have openings in your karate class for two 6 yo twin boys?